Samsung has been a phablet king for as long as the large screen high-end phones been around. Their Galaxy Note series has seen the most praise any range can get for being innovative. Over the years, the Note series has introduced many new technologies and features. Likewise, the Galaxy Note 8 smartphone promises to be a rewarding successor to the controversial Note 7. We shed some light to the Samsung Galaxy Note 8 features, specifications and price in India. 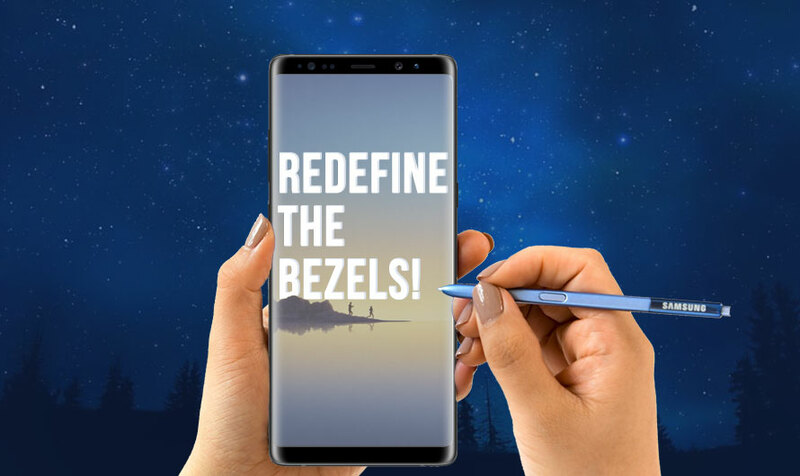 After the ramping success of the Bezel-less design in the Galaxy S8, the Note 8 too will be featuring the same design. That implies that the pixels per inch on this massive 6.3-inch Super AMOLED screen goes up by a notch. Samsung has offered the best-in-class performance on its flagship products over the past years. And this year, with Note 8 performance, it won’t be different. Tipped to equipped with Snapdragon 835 processor, the latest phablet will sport an unmatched performance. Coupled with 6GB of RAM and 64GB internal storage with no expandable memory, the upcoming Galaxy Note smartphone would be a beast. The optics department is a deal breaker these days as it decides whether a phone is worth spending the huge chunk of money or not. Samsung has always made sure that it’s worth it! Which is why the Note 8 is rumored to sport a dual rear camera of 12MP resolution. This would be the second Samsung handset with dual rear cameras after C10 that Samsung is considering to introduce to people. The battery capacity of this high-end flagship phone isn’t what you would expect to be. At just 3300 mAh capacity on a large 6.3-inch device doesn’t really measure up to the standard. Moreover, when the handset packs a power consuming display, it should at least sport a decent capacity battery. In the age of high-capacity batteries, Samsung is really taking a long time to introduce a big badass battery in their Note series phones. Samsung is one such Android smartphone maker that is very particular about designing their phones. The Galaxy S8 and S8 Plus tell us that story! But the Galaxy Note 8 leaked renders suggest us otherwise. The design feels bland at first look. It’s flat and not amusing at all. Looking at the money you would shell out once it's released in India, it might not be worthy of your hard earned cash. Though, looking at spec wise, the Infinity display of 6.3-inch is something you should love if you are into large displays. Additionally, the tipped 4K resolution makes the display more appealing. The expandable storage space is something that many smartphone brands ignore. Samsung is one of them! The South Korean giant reportedly won’t equip their Note 8 smartphone with a microSD card slot. Wondering whether you should wait for the Samsung Galaxy Note 8 release in India or not? Well, it would depend on how the Note 8 price in India turns out. Considering the Galaxy S8 Plus price starts at Rs 64,900 in India, the second high-end flagship product might be priced somewhere around Rs 73,999. Yes. It might be the most expensive Samsung flagship phone yet. Wait for further updates on this handset as the Fall launch comes near. Samsung Galaxy Note 8 full specs and reviews as of Apr 2019. Buy it here!